Madison Concert Ticket Giveaway: Brantley Gilbert | True Endeavors Presents: music, tours, tickets, mp3 downloads, concert pictures, videos, Madison WI. Country music hit maker Brantley Gilbert is in Madison this Friday night (September 23) for a SOLD OUT show at The Barrymore. Didn’t get your tickets in time? You’ve come to the right place! You’ll have one more chance to snag a pair of tix after the jump. Stop and listen to any of Brantly Gilbert’s lyrics and you know a little about him. Listen to his albums and you will feel like family. 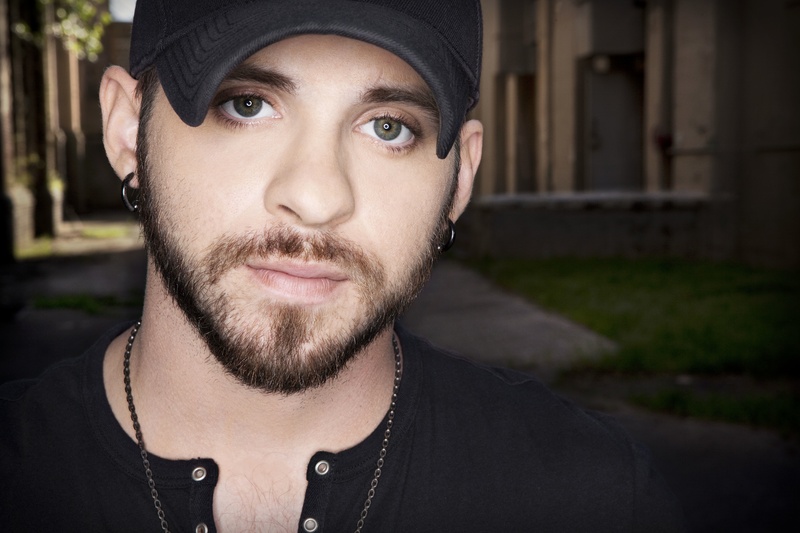 Brantley Gilbert was born and raised in the small town of Jefferson, Georgia, just outside of Athens city limits. It is that upbringing and small town influence that Gilbert credits toward allowing him to cultivate his unique sound. Gilbert’s taste in music always swayed toward a southern country rock feel, but his true-to-life testimony of heartache, trials, triumph, and success found a home in country music. While on the road the past five years, Gilbert has built his brand through his compelling lyrics and dynamic live show – a combination that attracted a strong underground band of believers who shared Gilbert’s passion for life and music; pretty soon his following had taken on a life of its own. As Gilbert tells it, “[W]e don’t have fans, we have friends. I like to think that those people in the crowd are just like me. They listen to the songs, they get the meaning and get the purpose and they get something out of it.” It is this rabid fan base that became the first members of what is now known as the BG Nation. These dedicated fans and their insistence on new music from Gilbert encouraged him to bring his unique style to Nashville, Tennessee where he soon signed with Warner/Chappell Publishing and began to develop music for a debut album release on an independent record label. On March 16, 2010, the rising star released his sophomore album, Halfway To Heaven, the follow-up to his debut national release, A Modern Day Prodigal Son. The sophomore effort peaked at #2 on iTunes Country Album Charts, and at #1 on the Billboard Heatseekers Album Chart for all genres. “The Best of Me,” a song from Gilbert’s first album was recorded by country superstar Jason Aldean and earned a spot on his iTunes release Wide Open. Then, in August 2010, Brantley’s song “My Kinda Party,” became a #1 smash for Aldean, as well as the title track to Aldean’s platinum-selling album. The superstar’s latest single, “Dirt Road Anthem,” was also written by Gilbert. As tour dates multiply throughout the South, Gilbert’s fan base continues to expand. The rising star’s Facebook posts see views of 7 million a month and his MySpace page has garnered more than 16 million total song plays— a number that has brought him to the #1 spot on MySpace Music Charts for both Country and Southern Rock. He also continues to sell out venues throughout the country – proof that the BG Nation is relentlessly growing. In February 2011, Gilbert passed another career milestone when he signed with Big Machine Label Group’s imprint The Valory Music Co. — home to superstars Reba and Jewel as well as #1 chart-topper Justin Moore. Brantley Gilbert’s first single on The Valory Music Co. debuted in the Top 40 at Country radio on its official impact date – an impressive feat by a new artist. WIN A PAIR OF TICKETS: Seeing as Mr. Gilbert will be playing in Madison on Friday evening and has a song called “Friday Night,” we want to hear about your favorite ways to kick off your weekend. Tell us about your favorite local hangouts, activities, and people that help you forget about your stressful work week. We know Brantley’s on your mind, so get your comments posted below and you might just get to spend this Friday night with him! Please have your comments posted by Thursday (September 22, 2011) at 8:00 pm. A winner will be chosen and notified shortly thereafter. My favorite way to unwind on Friday night is to do exactly want I want this contest to help me do, grab a beer and see some bands! My favorite thing to do on Friday nights in Madison is start off by grabbing a burger at The Nitty Gritty.. yummm! Then start partying (usually listening to country) and spend the night with my favorite college roommates, getting pumped up for Saturday game day! You got ’em Laura! Congratulations!